GigaHash.org seems is offline – dont invest here! 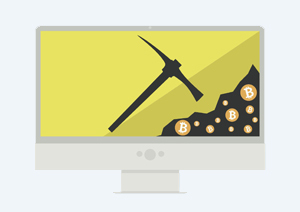 Giga Hash offers the opportunity to participate in cryptocurrency mining without investing in and maintaining the mining equipment. The earnings from the bitcoin and altcoin cloud mining activity appears on the clients account each day. Customers do not need to worry about the noise or the heat generated by the mining rigs, but can enjoy all the benefits of the coins for just for a small maintenance fees. Giga Hash Ltd is a registered company in Bulgaria. The Eastern European startup begin its cloud mining activity in December 2013, so they were one of the first on the market. As an anecdote, they share with the public, that the idea to setup a cloud mining company is came from local investor’s desire to invest into cryptocurrencies who does not have technical knowledge of mining hardware. Particularly, a sailor wanted to invest into bitcoin without owning the associated mining equipment. The owners and founders of the company is not listed in their About section. Ironically, because of the name of the company it is fairly difficult to find some relevant information on the internet about them as searching for the term Giga Hash mostly results millions of pages in the crypto world. The company is associated with Tihomir Ganev. Mr Ganev has multiple website registered under his name and only lists webmaster experience on his presumed Linkedin profile. The company is using the latest ASIC mining hardware for mining bitcoin and altcoins, but the exact types of miners are not specified on the website, probably they are using Antminers based on the news on the site. Due to security reasons, the company does not wish to disclose the exact location of the mining facility, the farm is in Varna, Bulgaria. However there is no picture on the site about the mining equipment or about the farm, so it is difficult to see how big is the scale on which they are working on. Because of the rising bitcoin difficulty, Giga Hash stopped selling bitcoin cloud mining contracts as it is no longer profitable at current electricity and other costs. In May 2016 the maintenance costs were $1.17 on the Antminer S5 devices, while the mining only resulted $1.16, so they terminated the contracts at the subsequent bitcoin reward halving. With current bitcoin prices it is not likely that they will go back online with bitcoin mining unless they upgrade the mining equipment. Now they are only focusing on the mining of scrypt coins. It is pretty easy to start mining at Giga Hash, new users just need to add an email and password, then choose the mining cloud plan and after payment, the rigs are producing coins right away. The miners can choose from multiple pools to mine for with their purchased hashpower, there is no restriction on which pool to join. There is no expiration date applied to any cloud mining contract at Giga Hash. At Giga Hash, clients are able to pay by bitcoins or in 15 different altcoins due to their partnership with Shape Shift. They also accept PayPal as payment method, however the minimum purchase in this case should be above 10 USD. There is no option to pay for the cloud mining services by credit card, wire transfer or with any other alternative payment providers, like Skrill. To spread the cloud mining idea among more and more users, Giga Hash is running an affiliate program. By referrals, clients can earn 5% in bitcoin after inviting new clients to Giga Hash. Giga Hash uses Cloud Flare services to protect the site from DDoS attacks. This is definitely a good point nowadays, that more and more hackers trying to steal money from the hot wallets where these cloud mining providers keep the bitcoins. There is not too many option to choose from when it goes to select cloud mining plans at Giga Hash. In fact, they only supply one type of contract for mining scrypt coins. The scrypt algorithm cloud mining at Giga Hash costs 0.02 BTC for each unit of 1 MH/s contract. That costs 20.64 USD under current bitcoin price, which is a relative high price on the market. On the other hand, Giga Hash only charges 0.0125 USD after each MH/s purchased that is deducted daily from the payouts. This maintenance fee is definitely low compared to other cloud mining competitors. As detailed above, currently there is no option to mine bitcoin in the cloud at Giga Hash. Due to the high difficulty their equipment is not making cloud mining profitable at current bitcoin price level. Giga Hash.org shows the current bitcoin exchange rate along with the bitcoin mining difficulty level. The mining income is expressed as how much bitcoin would 1000GH/s hashpower generate, so clients can calculate their plan’s perspective income. Otherwise the site is very simple, both in terms of design and in terms of details provided. No fancy background, pictures or fonts anywhere, just getting straight to the information. Also, Giga Hash does not have any social media presence at all. Not even a Twitter account is listed on the website. The only contact information to the company is an email address. They don’t have a support team, hot line or any live option to get in touch with them. This is again a warning sign whether the Giga Hash is truly a legitimate cloud mining firm. In fact Giga Hash does not have a voice on the internet. Users do not complain about their services but they do not praise them as well. Although they said to be on the market since 2013, the activity and the traffic of the website is very low. Giga Hash offers a simple solution to join cryptocurrency cloud mining. The mining fee is relatively high compared to competitors and the cloud mining is only available for coins under the scrypt algorithm. However the charged maintenance fee is very low in exchange. GigaHash.org is a very simple website and only providing the basic information on services. The company does not have much online presence as they do not have any social media accounts as well. This, along with the lack of information can warn users whether Giga Hash is providing legitimate services at all.